As the Creating Wealth seminar has commenced, Jason Hartman presented one economist’s predictions about the future of interest rates, possible rate hikes, and what it means for the real estate market, including what it means for active investors. He also discussed several reasons why it’s an amazing time to be alive but mentioned one thing that needs improvement: the culture war and how looking back on this time might be considered a cultural dark age in the future. 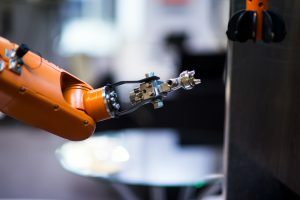 He then finished up the fascinating interview with John Tamny about the impact that automation currently has and will continue to have on all aspects of human life. Tamny offered his predictions and insights as to what technology has done for the world already, as well as what it stands to accomplish in the field of work. Today’s episode covers part two of the fascinating interview with John Tamny, but before getting to the guest of the day, Jason Hartman announces that he is in New York City in preparation for the upcoming Venture Alliance trip. He explains that he has done a lot of walking since he arrived, including walking Coco through Central Park. Hartman states that of all the exercises around, walking is among the easiest. It isn’t intense, but it’s much better than doing nothing. It’s a good way to see the world around you and get some fresh air, though not so much in New York City due to all the car exhaust. He explains that while he can see some of the benefits, he has never understood big city living and prefers to live in areas with a reasonable cost of living. He announces that he has just left Las Vegas and is happy to have done so as he never really liked the city. He was quoted in a recent Realtor.com article where he talked about Vegas attracting some of the tax refugees from California. They tend to flee to places that are nearby, like Nevada, a state that’s close to California but lacks the heavy taxes. In anticipating the announcement of his future home, Hartman explains that when you look at the places you can live around the world, it’s easy to see that people have become very mobile. It’s an amazing time to be alive when it comes to the developments in technology. There have been massive innovations, and with it might come more peace around the world. Technology has the power to both bring people together and separate them. Technology allows investors to do quite a bit with their personal finances and real estate portfolios. The world is our oyster, Hartman says. We have all of these great tools, and while it is an amazing time to be alive, there is an exception. When we look back on this time in history, it’s likely to be considered to be among the cultural dark ages. Hartman refers to the film Idiocracy and states that it’s both scary and sad how messed up the culture is in so many ways. Swaths of people are “left behind” in a combination of choice and abandonment to some extent. He points out that a former guest, Rick, stated that the peak of society was 1990. If you look at what happened around 1990, you’ll see that there was a major shift in music. When you change music, you change the culture. Hartman expands on this statement to say, “Let me control the music, and I care not who controls the money or makes the laws.” This is because music is so impactful. If you have feedback or questions about the way that music impacts cultures, Hartman would love to hear from you at www.jasonhartman.com/ask. He reflects on the Creating Wealth seminar that took place a few days ago and mentions that he has very bright clients. This is not said in an effort to schmooze listeners, as they know that they’re intelligent. He is aware of presenting information to high-level people, because they’re following the high-level content he provides. If listeners were low-level, the high-level content would bore them. In this day and age, you don’t have to go to school and spend a load of money you don’t have to educate yourself. You simply have to want to learn, and that’s what Hartman’s listeners do. They listen in order to learn. He states that at the seminar, there was an attendee who was a grape designer. He engineered grapes so that they are able to withstand tough climates. Perhaps we will have a new wine country at the Ice Hotel in Sweden in no time. It truly is an amazing time to be alive, but Hartman notices that it’s only working that way for about 50% of people. The other half of society doesn’t seem like they want to be a part of it. Hartman explains that tomorrow morning, he is scheduled to be on the Today Show, where he will be doing the weather with Al Roker. He states that he wants to give a bit of a real estate-themed weather report, so he will see how much he gets to say. He notes that maybe he will play the clip on a future episode. 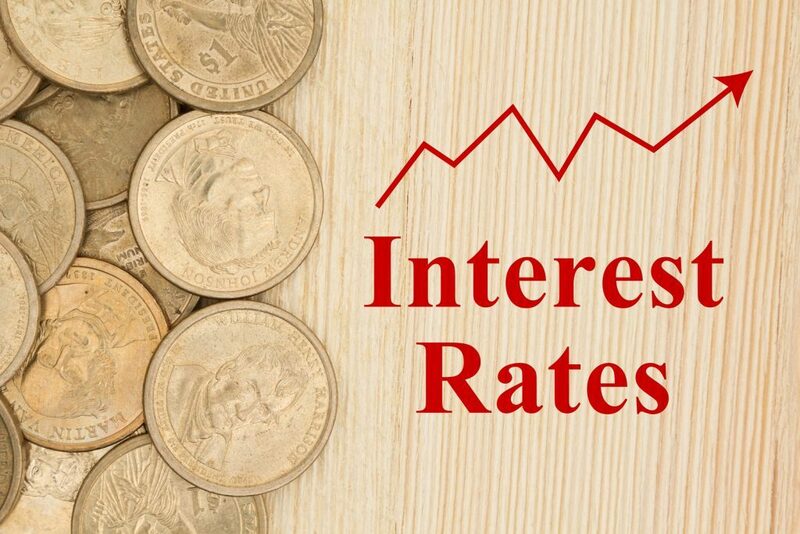 Martin Armstrong, an economist and former guest a few years ago, has a new video where he, along with Greg Hunter, talked about the future of interest rates and how he predicts that interest rates are going to jump to 10% and presents some solid thoughts on the topic. While historically, rates have been higher before, it would be a sizeable jump compared to what we have now. Hartman states if this were to happen, there would be a lot of fallout, and we might see some suppressed real estate prices. This is likely to cause upward pressure on rents. Buying will slow, but with the population continuing to expand (though not much), people are going to continue to need homes. Hartman mentions that there has been a significant decline in birthrates, except for in women over 40, who might have waited too long. It’s understandable to want a career, but when it comes down to it, being a slave to a corporation is not more evil than being a slave as a housewife, is it? Sometimes it’s important to look at the end result, which involves stepping back from a painting and looking at the big picture rather than the individual brush strokes. There is a demographic timebomb to consider, but investors should not worry about it as far as real estate goes, as the timebomb is set 25 to 30 years into the future. There’s nothing to worry about today, but it is always wise to think ahead. There is an explosion of people who need homes, and the way society works, people either have to buy a home, rent a home, or be homeless. Investors are interested in the upward pressure on rents. They’ve already got their interest rates low, much like an environmentalist who already has their house on the beach. If the price of loans increase later, it will be more expensive for those who come after us. They may very well not be able to enter the market, and as a result, there will be less rental supply available. As a current investor, your supply will increase dramatically. Hartman mentions the topic of robots and automation. The US Census has done several studies over the years and finds that the only job that has actually disappeared due to automation is the position of Elevator Operators. Every other job is still in existence. He wonders though, if it will be different this time. The developments in technology are startling. Transportation is one of the biggest industries in the world, and it’s becoming automated fast. He explains to Tamny that a lot of his listeners are real estate investors and that one of the biggest drivers in real estate is location. This idea is under pressure and might become less meaningful now that transportation has developed the way it has. Tamny states that the biggest industry in the world is actually food. If we were born 150 years ago, it was likely that we knew what we were going to do with our lives. We were going to work on a farm until we died. The backhoe and tractor were invented, and neither of these inventions actually took jobs from anyone. Instead, they made jobs easier and freed us up to where we were able to work on different things. If the issue was really about jobs, it would be easy to simply abolish machines, Tamny says somewhat sarcastically. We could go back to where everyone worked, yet we were all extremely poor. He states that everyone in Bangladesh works, but they’re all miserable. There is so much still to fix, he explains. For example, cancer and heart disease are still serious problems in human life. All of the automation present is going to lead to new kinds of jobs. People used to have a six-day work week. We now have a five-day work week, and we might be heading toward four. Automation has lead to a surge in entertainment. Believe it or not, video game playing is now a profession, as is coaching with gaming systems. Tamny explains that people love to dine out, while in the 1970s, being a chef was not a professional job. Kids used to be embarrassed if their parents worked as cooks. Now, being a chef is a great job as it is both specialized and advanced. He predicts that robots will take away the tedious jobs so that people can go to work doing what they’re good at. We can become experts and be more productive in our chosen fiends. Robots take the drudgery off of our plates so that we can develop our unique talents. More and more people will get to do the work that they love. Hartman adds that it isn’t totally accurate to assume that everything will become high-tech. Truck drivers are not going to have to become engineers. There will be new areas of work created, but the specialization of jobs is startling. In a way, we don’t even know what we don’t know. Tamny states that we basically exhausted the ability of people to innovate and achieve. Our want is unlimited. We were not demanding the internet and Uber back in the early 1990s. Thanks to all of the recent innovation, there are countless yoga instructors, doctors, lawyers, and more. A war has developed where companies are battling to lure in the best chefs. The jobs created by innovation will be endless. People are able to make a living posting their shopping experiences online. Football assistants can now make millions of dollars in salary. If you have a hobby or something you love doing, there is a career for it, Tamny says. With automation, the demand for entertainment is going to explode. Hartman mentions that there were predictions in the 1970s that by 2000 we would be working only three days a week and people would be masters of machines. That hasn’t happened, but we are heading toward a four-day work week. Tamny understands that this prediction was a little early, but we’re getting closer to it. If the robots fulfill their promise, it should cut the work week. He refers to both himself and Hartman, stating that they both love what they do, so it doesn’t bother either of them to work on weekends. People will have the option to work less, and there will be more four-day office jobs, but more people will escape laziness by doing what they love. Some people might work a lot of hours because their work becomes their joy. He recalls that his father would have loved to be a basketball coach but couldn’t do it at the time because it wasn’t the responsible job to have when one had a family to support. Now, it has become a respectable job. We are approaching an age where people will race to work because that’s where they’re experts. Hartman states that he hopes this happens. Technology has made the boundary between work and play very thin. Our jobs should not be drudgery. He mentions that many of his libertarian friends are interested in UBI but feels that it seems kind of like a welfare program. Tamny points out that he is against it. His reasoning is, can you imagine handing politicians the right to determine this program? People would be able to give themselves raises on the backs of others. He argues that this system seems overrated. No basic income could keep him from working, and people wouldn’t simply sit on their hands. It seems dangerous, as people should not vote their incomes. For more information about John Tamny, you can visit his website at www.realclearmarkets.com or read any one of his books on Amazon or Barnes & Noble, the newest of which is entitled The End of Work: Why Robots Won’t Take Your Job and Might Get You One You Love.